Unscrupulous companies, whether we like it or not, are very present in the roofing industry today. Sometimes a contractor can accept clients even if they are financially weak. What does this mean? If a contractor starts having problems with money, they will most likely delay payments and stretch out jobs. When a company does this in the middle of a job, they will cause a great inconvenience because they will leave whatever you had repaired or installed unfinished, or finished, but poorly done. In order to avoid this, trusted roofing contractor All American Roofing discusses signs that you may be dealing with an unscrupulous company. This can be a sign of desperation. When given an offer that is too good to be true, it might be a sign that the contractor needs immediate money to fund his previous jobs. If the contractor accepts all your terms right away without any questions, this might be another sign of panic – the contractor needs cash right away. On the contractor’s behalf, assertive billings may be beneficial, but when the costs and the quality of work don’t add up, it might be best to start asking questions. Lots of them. When a contractor’s funds are not enough to pay his previous projects, all of his clients and workers will be stretched thin – waiting and waiting for the payment of the contractor. This is why it is extremely important to check the background of your roofing contractors. As a homeowner, it is a must to check the insurance, service experience, and financial stability of all contractors and subcontractors. No one wants to live in a house with the roofing broken or half-done. Remember, as a homeowner, it is not worth it to compromise your home’s security for what seems to be a low-budget service from dishonest contractors. It is better to ensure that your service provider has your best interest in mind. 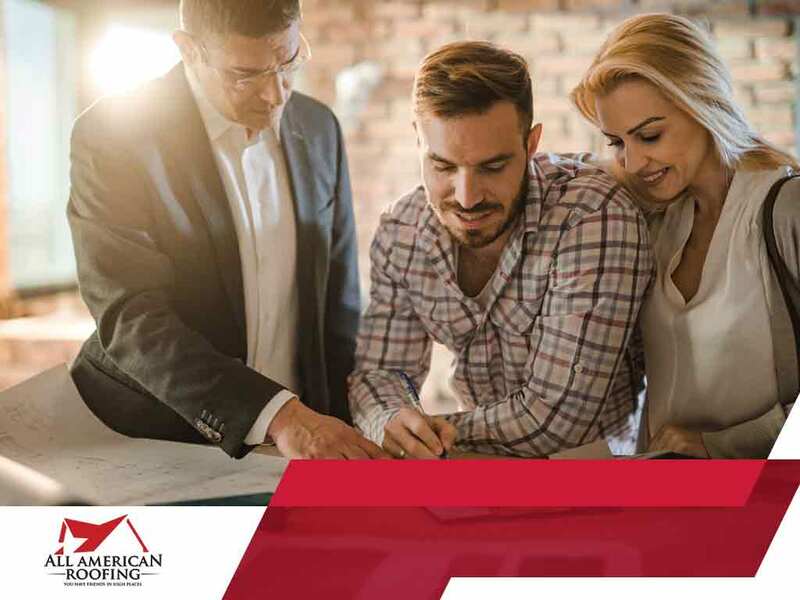 If you are looking for a trustworthy roofing company that can help you in maintaining or building your home, contact at All American Roofing today. With over 30 years of experience, we can assure you that all our services will be done with the highest quality of workmanship. Call us at (405) 787-0400 or fill out our contact form for a free estimate. We serve clients in Tulsa, Broken Arrow and Oklahoma City, OK.